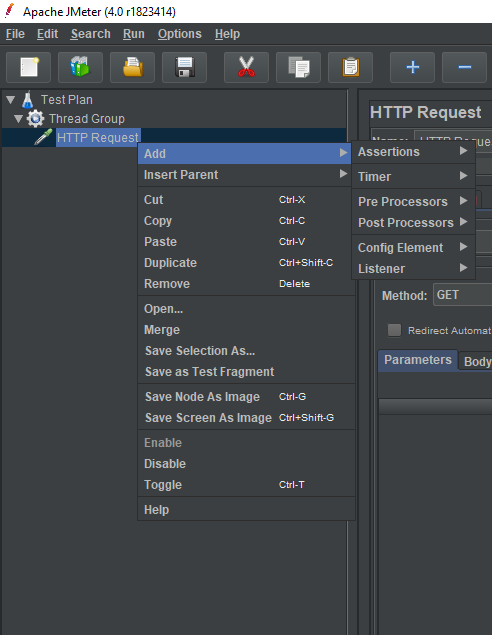 A test plan can be visualized as your JMeter script for running tests. A test plan consists of test elements such as thread groups, logic controllers, sample-generating controllers, listeners, timers, assertions, and configuration elements. A test plan consists of all steps which execute the script. Everything which is included in a test plan is executed in a sequence which is top to bottom or as per the defined sequence in the test plan. The figure given below shows the directory level of a test plan. The test plan should be saved before running the entire test plan. JMeter files or test plans are saved in form of .JMX extension files. JMX is an open test based format, it enables the test plan to be launched in a text editor. You can also save parts of test plan as the different selection. For example,if you want to save HTTP request sampler with listener, you can save it as test fragment so that it can be used in other test scenarios as well.